Portable aMSN is a program that will really interest you if you frequently change the computer that you work on, because it is a program that doesn't require installation and that you will be able to use from any computer or even when you have it stored on your pendrive. 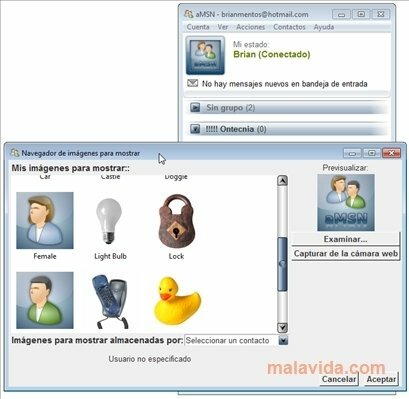 With aMSN you will be able to communicate with your friends, as long at they are users of the Windows Live Messenger network. Among the advantages of this software, we ha to highlight the really low amount of resources that it requires, the fact that it doesn't include any publicity, how easy it is to configure and the possibility to place your avatar to communicate with your friends. 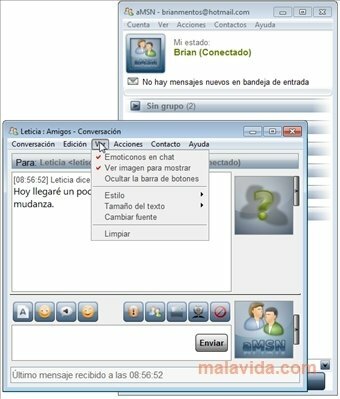 This portable version of the the Window Live Messenger clone is a perfect solution to communicate over Internet with computer that can be accessed by the general public, on which it is normally not possible to install programs, and also to avoid the publicity that normally appears in similar applications. If you aren't pleased with your normal instant messenger application, try aMSN and you will see how powerful it is.